It is truly difficult for me to think of only 10 must-see places and attractions in Bhutan where I have spent so much time over the past 18 years. 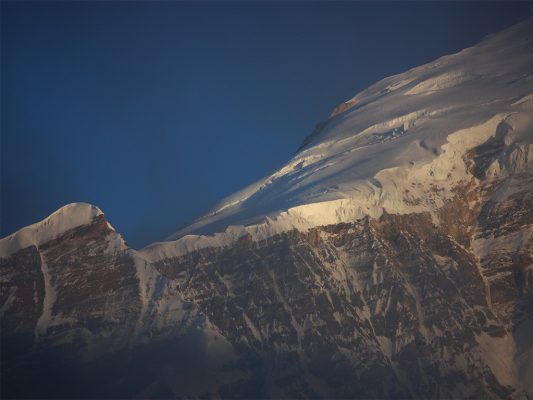 However, I will try and choose from my long list of things, places and activities that I love, keeping in mind that it is for people who have not been to the Himalayan Kingdom before. There is no way around it, Tigernest monastery is undoubtedly one of the best known attractions in the Himalayan kingdom and for many first time visitors impossible to skip. 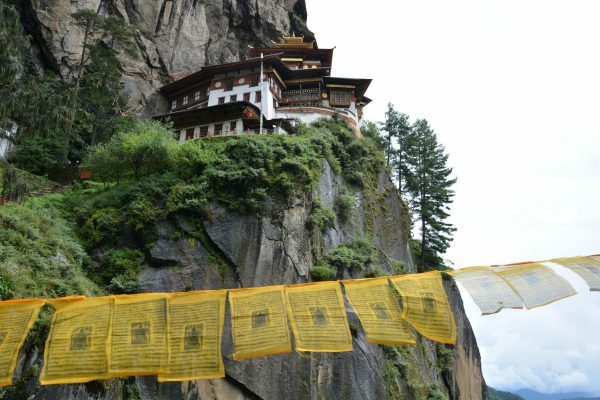 I was lucky enough to hike up to Taktsang several times before it became a highly frequented tourist spot during high season. Nevertheless, the first close up glimpse of Taktsang monastery, perched on a steep cliff, never ceases to enchant me. One recommendation though: Try to hike up as early as possible, maybe start around 6 o’clock in the morning or even earlier! That way you will more likely be able to enjoy the place for what it was intended to be: a remote recluse for peaceful and quiet contemplation and meditation. I love Bhutanese Dzongs, they are great architectural masterpieces, embellishing the landscape. They were built in ancient times without the use of metal nails mainly from wood, stone and mud. Dzongs tower over every one of the 20 districts, some very historic, some rather recent. Landing in Paro and spotting Rinpung Dzong from the plane always makes me feel sentimental. Wangdue Phodrang Dzong, one of my favorites, unfortunately burned down a few years ago. It was a very authentic example of these fortresses and is now under restoration. Visiting Punakha Dzong is also impressive and offers wonderful opportunities for walks in the surrounding areas, such as to the longest suspension bridge and even further to an idyllic homestay amidst the fields and near the river. Jakar Dzong in Bumthang, as well as Lhuentse Dzong and Trashigang Dzong in the East are equally stunning and worth visiting. If you don’t have time to go on a serious trek, there are still plenty of opportunities to hike up to mountain passes from where you can spot the Himalayan snow giants. 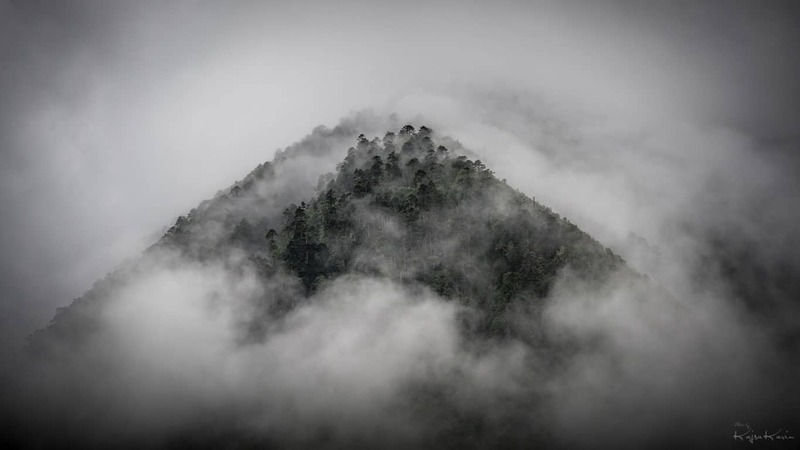 Most Bhutanese believe that the peaks are the dwelling places of birth and protector deities, the kyelha. Hiking to such passes can take from a few hours to a full day. 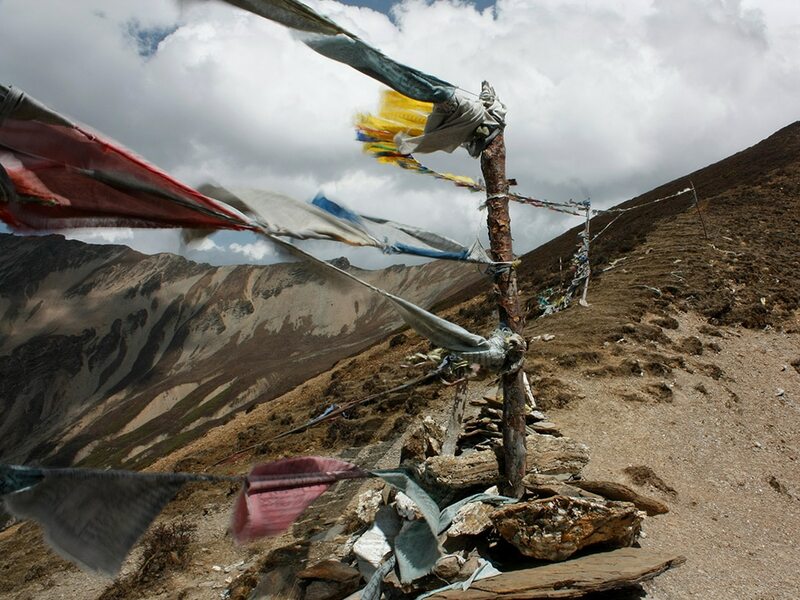 The passes are often marked by a chorten (Buddhist shrine) decorated with prayer flags, and a latshe (stone pile) where you can offer a twig, flower or leaf to the local deity. 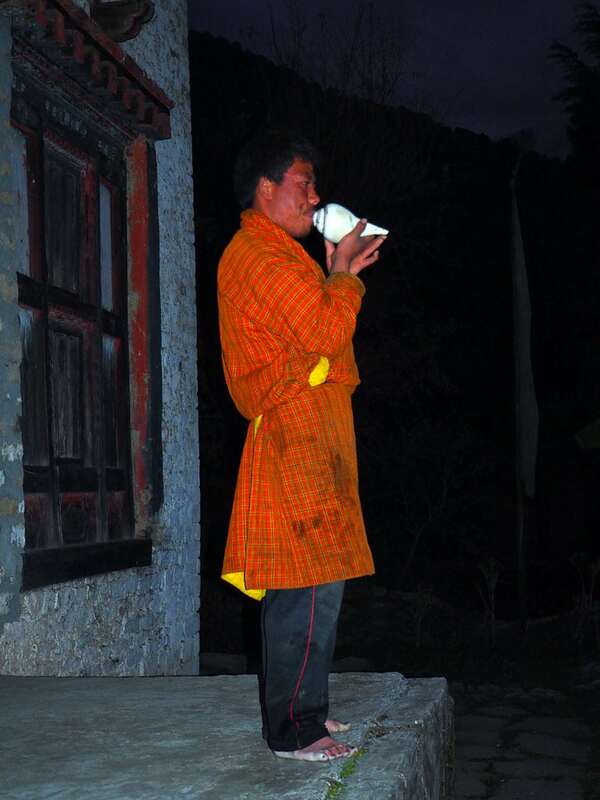 When Bhutanese travelers reach a mountain pass, they will shout “lha gyelo” (“the victorious gods” or “may good win over evil”), and offer a cup of ara (local moonshine) to the local deity before drinking some themselves. Along the way you might come across cow herders, mostly the grandparents of village householders whose job it is to look after the cattle. If you are lucky you will be invited for butter tea and snacks in one of their makeshift huts! 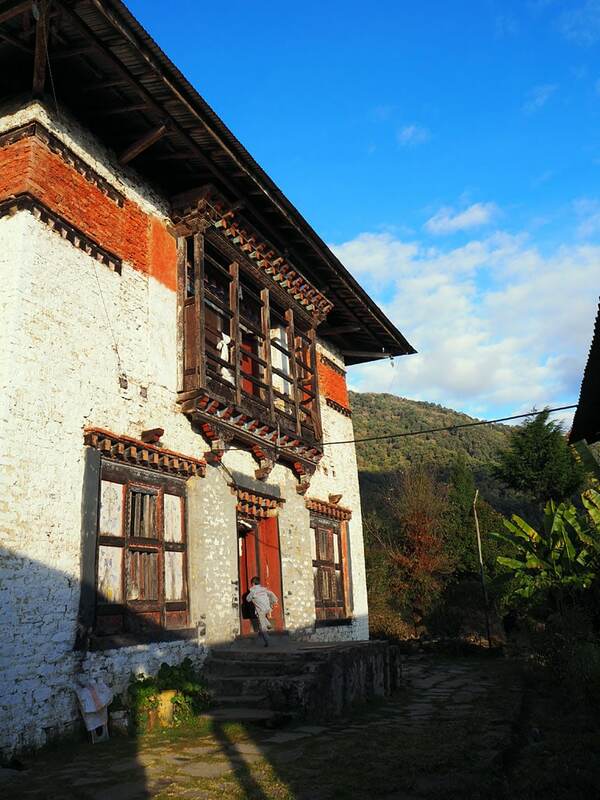 A Bhutanese saying goes: “The guest of one night is like a god.” I am convinced that you have not truly experienced Bhutan without having spent some time in a non-commercialized farmhouse. 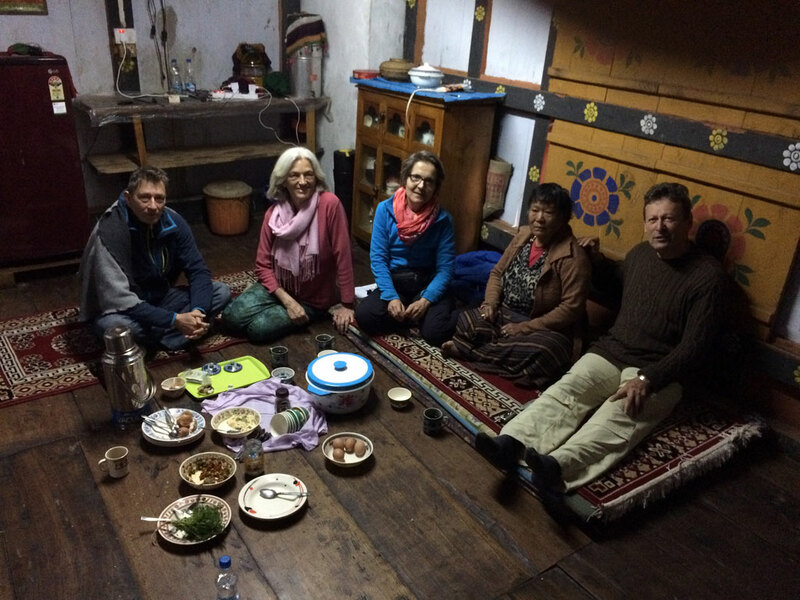 Enjoying local hospitality in a Bhutanese home is simply fantastic! Furthermore, food in homestays is much better than in the hotels and guesthouses. You can observe the nangi aum (woman of the house) going about her chores and even join in yourself and learn how to prepare local dishes. Or you can meditate in the choesham (altar room) and have a look around the house and surroundings. Make sure to find a real farmstay and not one that has been meddled with and commercialized for tourists. There are plenty of genuine village homes who occasionally host foreign guests from far away, keeping in line with ancient Bhutanese hospitality traditions. 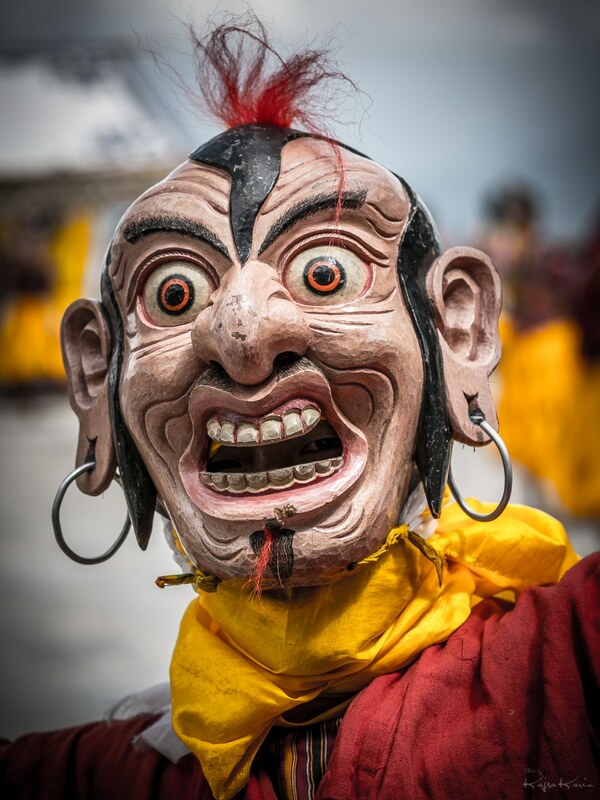 Masked dances are grand, especially in the Dzongs where they are performed annually at auspicious dates to celebrate the victory of good over evil. 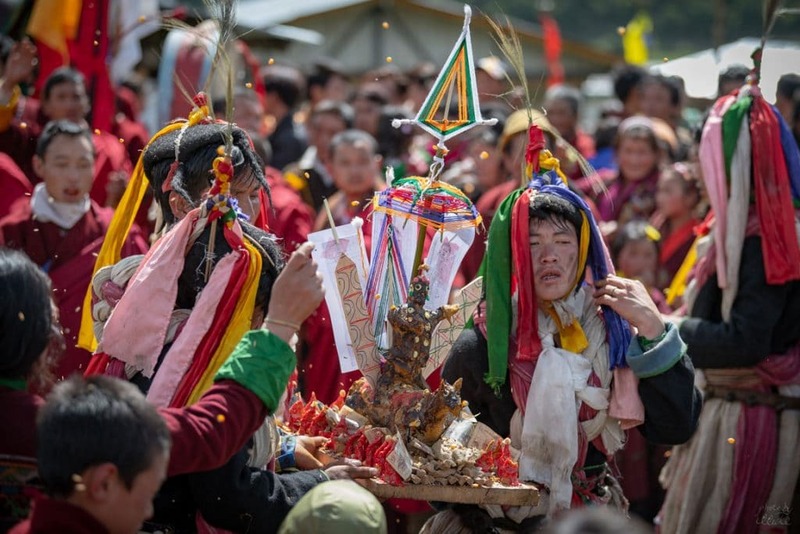 They re-enact the story of how the Buddhist dharma was introduced by famous lamas and saints in previous times, leading to the subduing of demons and evil beings. I personally prefer small village festivals where you can get an idea of how such events involve the entire community and shape the relationships of humans in daily life. I know this can be tricky as the village folks often keep festival dates tentative till last minute. However, if you manage to participate in one of the smaller local festivals, you will get insights into how such community festivals reinforce community cohesion and cooperation, a sense of belonging and communal identity. Such important local socio-cultural aspects are vulnerable to a fast changing society where rural-urban migration is a huge issue. An insider’s tip: Travel to East Bhutan in the winter months (December, January and February) and you will most likely stumble into festivals every now and then. You might also be the first foreigner to ever have witnessed one! 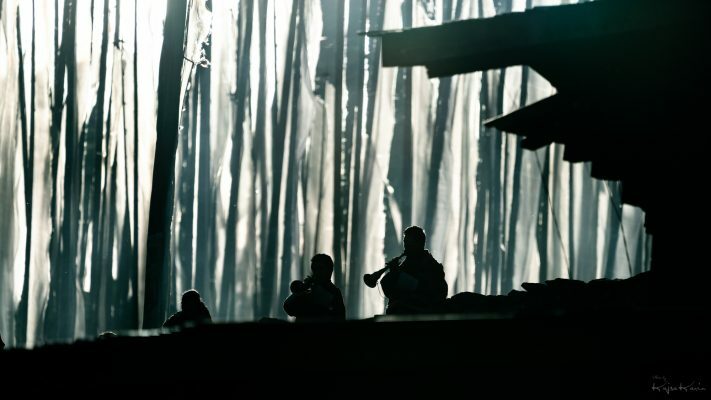 It goes without saying that trekking in Bhutan is a stunning experience. The trekking routes are unique and you will not meet many fellow travellers. 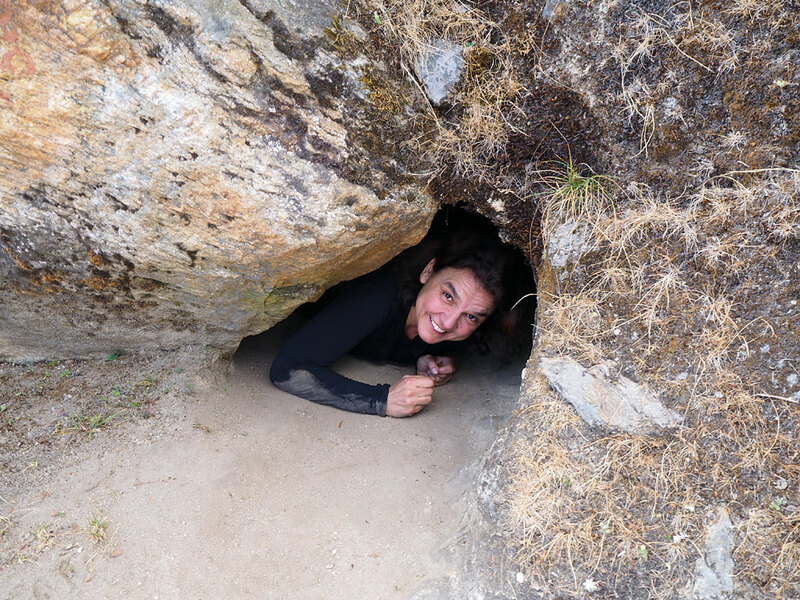 On ancient footpaths, you will hike through rhododendron and conifer forests, juniper shrubs and bamboo bushes, passing by chortens, mani walls and beautiful gonpas. On some treks you will encounter yak herders whose yaks graze on pastures covered with medicinal plants. Meet with villagers of distant valleys such as the Layaps during Lingshi-Laya-Gasa or Jomolhari treks, and share a cup of tea or ara with them. The flora and fauna are amazing and you will most certainly also come across wild deer and blue sheep. On a final note, in Bhutan, your luggage will be carried by mules, not humans, and overnights will be in tents. If you have time and visit the right places, take part in a crafts workshop such as bamboo or textile weaving in Central and East Bhutan, and thangka painting in the West, to mention just a few. 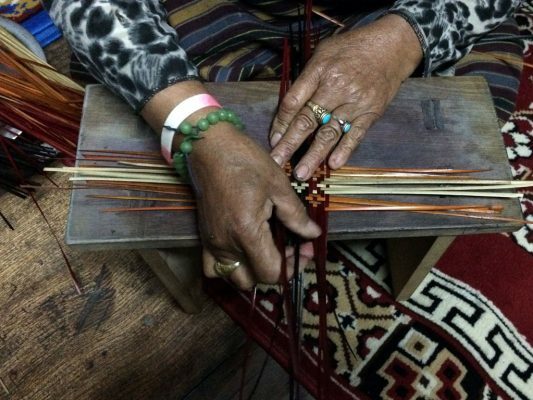 It is a wonderful way of getting closer to local Bhutanese and you will learn more about the role of handicrafts within communities in the past and present. You will develop an appreciation for the hard work that goes into such crafts. The harvest and collection of the wild or cultivated raw materials and the further processing of the latter are tedious and labor intensive. Imagine for example the raw material for nettle weaving, a thread made of stinging nettle, difficult to harvest and peel. Similarly it takes a while to collect and process bamboo into the raw material needed to weave the beautiful bangchung (woven bowls), famous in Bhutan and available in every souvenir shop in Thimphu. By participating in such local workshops you benefit the artisans directly. No better way to support them and at the same time immerse in local culture! I simply love Zhemgang. It is remote, hardly visited and sub-tropical in the lower parts with opportunities to visit the jungle of the Royal Manas National Park. There is an abundance of birds, which even I can take good pictures of by simply using my cell phone camera – the great hornbill just being one of many! The locals are lovely, reserved but very hospitable, and jolly when the ice has broken. Many houses are still in traditional style, made of bamboo and sitting on stilts. If you are adventurous at heart and not picky when it comes to accommodation, Zhemgang is the perfect place to explore! Visit some of the farmer cooperatives, venture into the jungle for bird watching or enjoy the rafting opportunities. Try the delicious local food, some ingredients come directly from the forest, and visit the bamboo basket weaving community in Bjoka. The East is great for those who want to enjoy less touristy places and experience more immersion in local culture and tradition. The valleys are steep and cliffy in some places and the slopes are terraced for rice cultivation. The climate is mild due to the lower altitude. Banana trees and plenty of fruits grow all over the place and throughout the year. In winter the orange tangerines dotting the trees look beautiful among the brownish dry landscape. 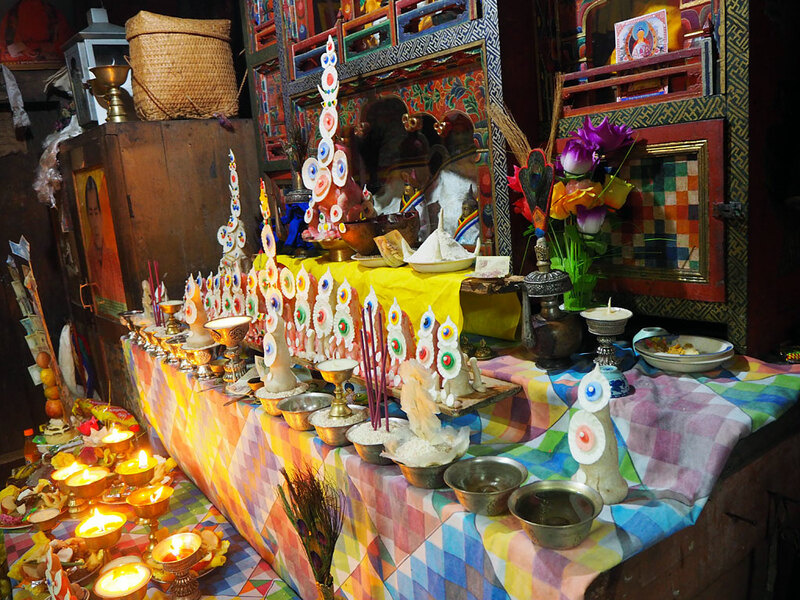 The East has many local crafts to show, mostly located in remote areas such as Trashiyangtse, Trashigang and Lhuentse. You can use Lingkhar lodge as your “base camp” and periodically venture out to the surrounding villages. Or stay at some of the lovely homes in the region and enjoy local hospitality. In spring and autumn, visit the Brokpa communities in Merak and Sakteng, and in winter observe the Black Necked Cranes in Bumdeling Wildlife Sanctuary. 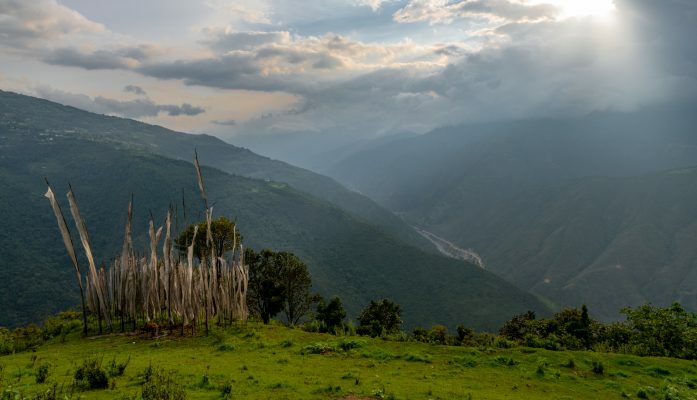 There are many places in Bhutan that are still rather unexplored. If you have the mind of a pioneer, you might even enjoy being our “guniea pig”, a pioneer exploring new routes, places and homes! I really like chili and cheese but there is so much more to Bhutanese food. Forget about ema datshi; if you travel to remote places at the right time of the year you will get to taste greeneries from the forest and fields, mushrooms and tasty herbs, homemade bread made from buckwheat, wheat rolls stuffed with a mix of garlic leaves, cheese and chili; home grown vegetables and potatoes and very traditional dishes such as “rice-pizza” (only prepared on special occasions), red rice and fried wild fern, the list goes on. Bhutanese cuisine also includes plenty of meat items such as sikam (dried pork), dried yak-meat and beef; beef bone soup and porridge as well as fried chicken, vegetarian sausages and homemade buckwheat noodles. Not to forget the popular momos with a variety of stuffings! 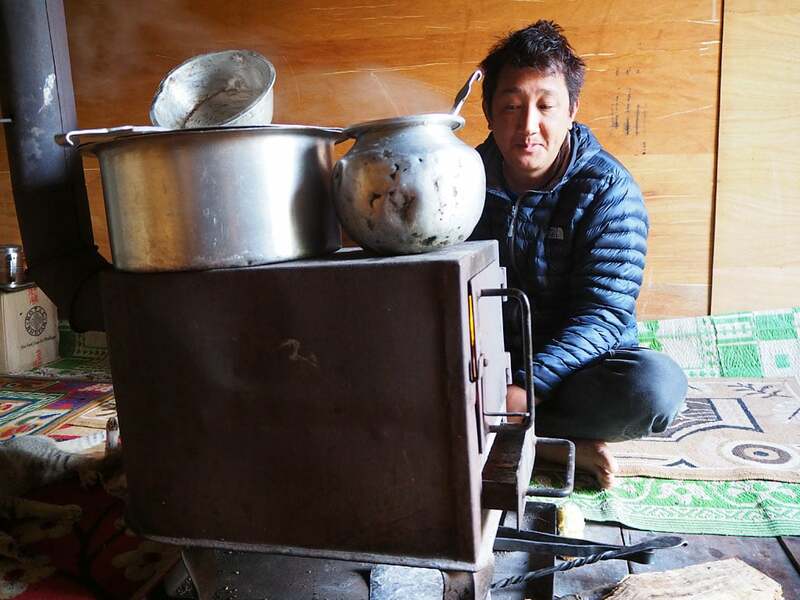 Bumthang is a particular culinary hot spot but there are also places in Zhemgang and East Bhutan and wherever you move a bit off the beaten track or where plenty of produce is supplied from the forests. 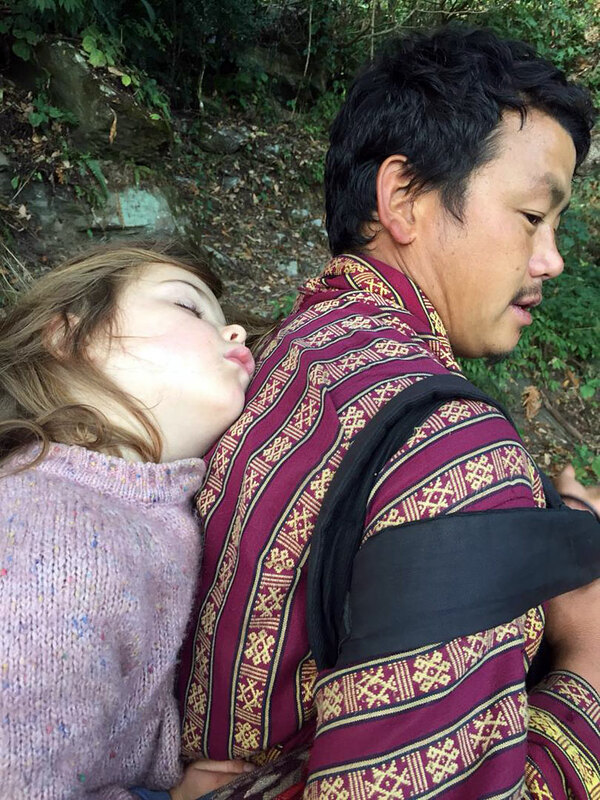 My bucket list of highlights in Bhutan can never be complete. 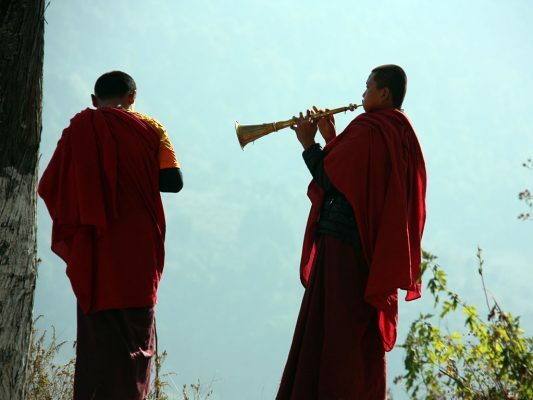 Some aspects are worth mentioning in addition: Gesar tours can arrange specialized tours where you can choose a particular focus during your travels. This can be anything from remote village visits and farmstays to textiles, pilgrimages, bird watching or traditional medicine, Sowa Rigpa. Let us know what interests you most and lectures and guided tours with experts can be arranged. Admittedly, additional activities may incur extra fees, but you will support local specialists and communities directly and non-bureaucratically. 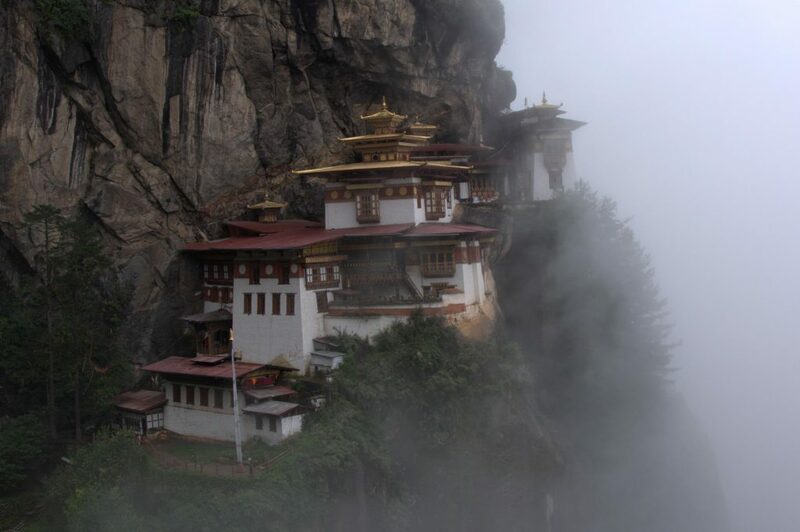 In Bhutan there is still a lot to be discovered. Hence it is always good to keep an open mind and remain flexible during your journey. It can be tedious to travel along unpaved roads to reach often times very remote villages. But at the end you encounter interesting activities such as cotton cultivation and cotton weaving in Chimoong, Pemagatshel. Sometimes ad-hoc changes might be necessary due to unforeseeable circumstances but you can consider that to be part of your authentic Bhutanese experience! 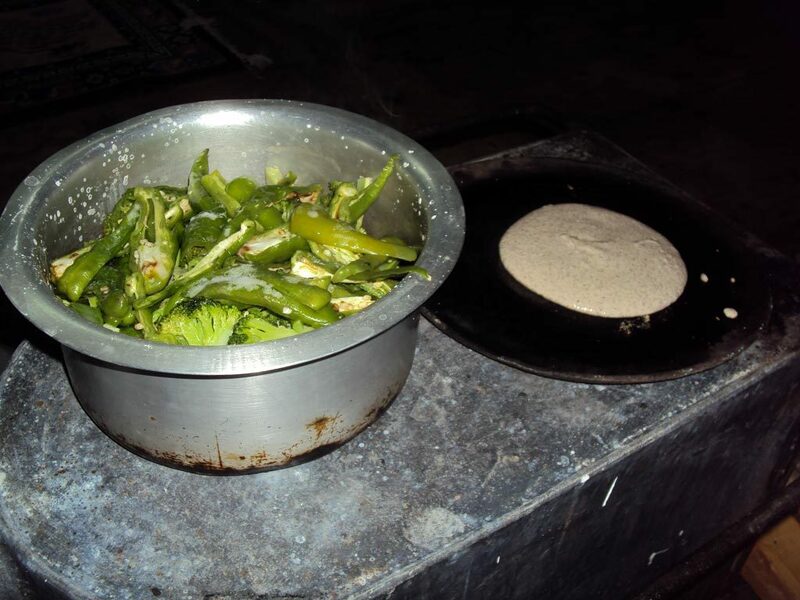 Last but not least, I will share an insider’s tip with you: the Monpa communities in Trongsa, along the Nabji-Korphu trek, have incredibly rich local knowledge on medicinal plants and edibles from the forest! From leafs to roots, the selection is vast and very tasty. While normally guests stay in designated camp grounds, we put you up in the homes of the Monpa communities! They are considered the aboriginal people of Bhutan with their own language and customs. 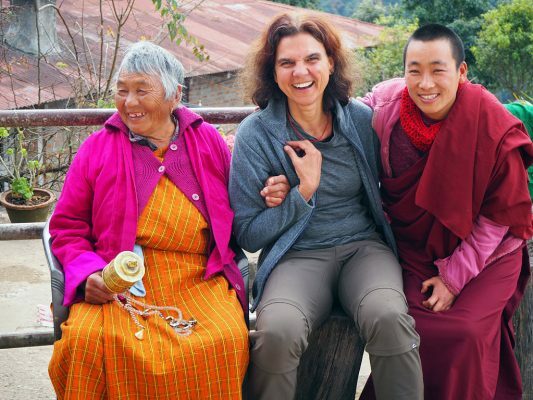 Together with a Monpa guide, you will gain insights into the rich ethnobotanical knowledge of these interesting people and at the same time support them in their endeavor to preserve their local knowledge and culture.